A non-profit organization is using the power of music to help inmates looking for a second chance. 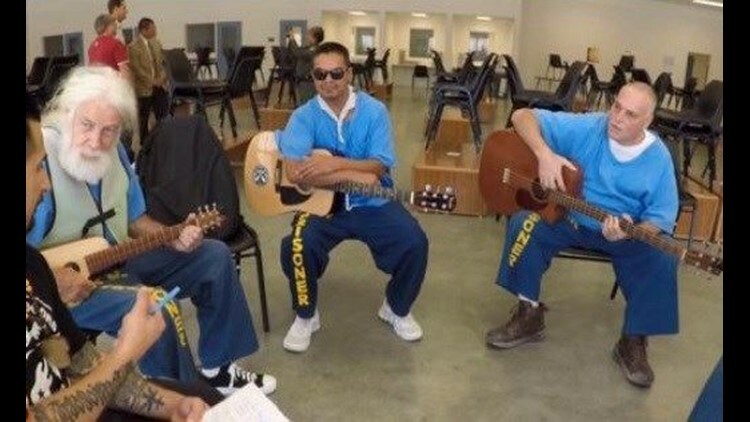 SAN DIEGO (NEWS 8) - A non-profit organization is using the power of music to help inmates looking for a second chance. In Thursday's Zevely Zone, Jeff went to the walls at Donovan State Prison with two ambassadors from Jail Guitar Doors. Once a week, the program Jail Guitar Doors goes face-to-face with inmates facing new music. Gabe Rosales is a professional musician who toured with big names like Jennifer Lopez. After being hooked on drugs, Gabe turned his life around and hopes inmates are right behind him. If you would like to learn more about Jail Guitar Doors visit their website here.